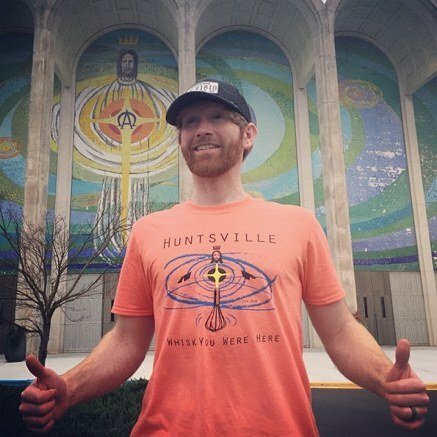 Home / Clothing / Fow Wow-"Huntsville: Whisk You Were Here"
Fow Wow-"Huntsville: Whisk You Were Here"
100% profit of “Eggbeater Jesus” shirts go toward efforts of helping men recovering from addiction at His Way. His Way is a residential recovery center that endeavors to reclaim men from a life of addiction, establish them in spiritual sobriety in Christ, and restore them to productive, Christ-like service in society. Backorders are allowed-next Shipment arrives by end of June. Orders will be filled in order received… thank you for your patience. The demand for this product has been such a blessing!